Encountering a blood-soaked man on a dark deserted road, a police officer (Aaron Poole) rushes the victim to the local hospital. Soon the staff and patients are trapped by a terrifying, otherworldly threat and forced on a hellish voyage into the depths of the building to escape the nightmare. 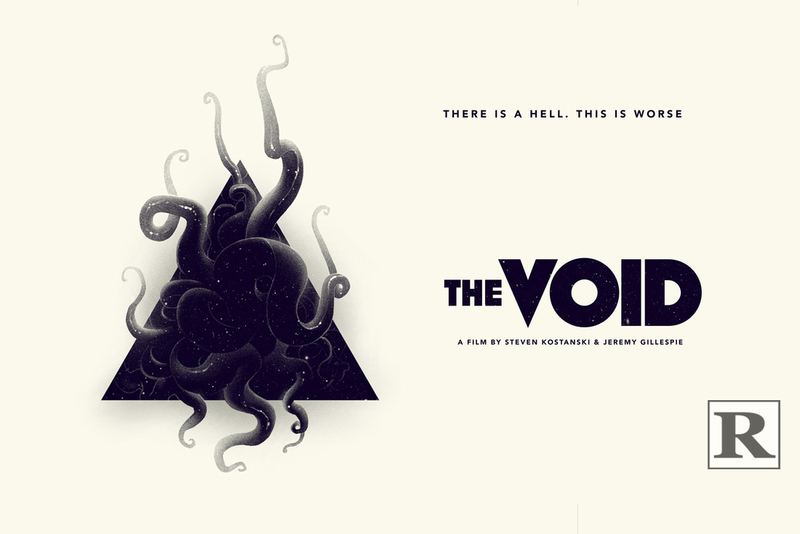 Written and directed by Jeremy Gillespie and Steven Kostanski, The Void stars Ellen Wong, Kathleen Munroe, Daniel Fathers and Kenneth Welsh. The movie opens in limited release April 7, 2017.